Home / Best Mattress / What’s the Best Mattress for Back Pain? Chronic back pain affects millions of people worldwide every day. Along with chiropractic treatments, having a the best mattress for back pain seems to help the most for reducing chronic aches and pains—and preventing them altogether. So, it shouldn’t be suprising individuals everywhere are constantly searching for the most comfortable bed for support and comfort. While identifying the best or perfect mattress remains a hotly debated topic, opinion polls and sleep professionals indicate specific types of mattresses are better than others when it comes to pain management and support. The Amerisleep AS2 is our Editor’s Choice as the best mattress for back pain because it offers enhanced and targeted support to maintain your spine’s natural aligment and promote healthy sleep positions. Back pain comes from many places, such as an injury, occupational strains, daily stress, sleeping on an uncomfortable mattress, or a combination of the above. According to the Mayo Clinic’s research, the conditions most commonly linked to back pain are muscle or ligament strain, bulging or ruptured discs, arthritis, skeletal irregularities, and osteoporosis. It’s clear there is no singular cause, but there are common factors. Understanding these factors and using them to manage your discomfort is one of the most effective ways to alleviate back pain. Many forms of back pain have one thing in common: they get worse after a bad night’s sleep. Whether it’s the result of a one-time injury, a chronic problem, or just the aches and pains of everyday life, back pain will only worsen on an uncomfortable mattress. Tossing and turning may aggravate the underlying cause. Too much pressure on the wrong part of the body can make you feel worse than when you went to bed. While sleeping, pressure is gradually released from your vertebrae— because you’re lying down, your upper body is no longer applying pressure to your spine. When a person wakes up, they can be up to one inch taller than when they went to bed. As the day progresses, pressure returns with gravity, and various factors (like poor posture) compress your spine throughout the day. The effects of poor sleep can be even worse depending on your sleeping position. Stomach sleeping, for example, places extra pressure and strain on the neck and spine. In many cases, managing a chronic back problem comes down to finding the best mattress for back pain. Getting a good night’s sleep reduces stress, takes pressure off injured or strained areas of the body, and helps alleviate pain. Lower back discomfort is the single leading cause of disability worldwide. It’s one of the most common reasons for missed work. Up to 80% of us will experience it at some point in our lives, says the American Chiropractic Association. Pain is a key factor keeping many Americans from getting the quality sleep they need. Sleep disturbance is a top complaint among patients dealing with a chronic back or joint problem. It has been reported by the National Sleep Foundation that those suffering chronic pain in their back or joints get around 42 fewer minutes of sleep per night. People with pain feel like they have less control over their sleep, and are more likely to worry about whether they’re snoozing enough. The good news is, you do have control over your sleep quality. If back discomfort is a chronic issue, investing in the right mattress can significantly improve the quality of your sleep—as well as your well-being while awake. Even if an injury or chronic condition causes back pain, getting a peaceful night’s sleep with good support and alignment can be the difference between manageable pain and debilitating pain. Choosing a comfortable bed can lead to several significant improvements including reducing pain, facilitating better rest, and preventing new aches. Sleeping on a lumpy or unsupportive surface can lead to discomfort. Sinking too deeply into a mattress can throw your joints out of alignment, causing them to twist and become uncomfortable as the night goes on. On the other hand, sleeping on a too-firm surface can interfere with the spinal cord’s ability to reach its proper alignment. Years ago, doctors recommended a firm mattress for people with back pain. However, recent surveys suggest people who sleep on very hard mattresses (sometimes called orthopedic mattresses) have the poorest sleep quality. Sleeping with a straight, natural alignment relieves the pressure points commonly associated with many back pains. Finding a mattress with the right level of support, while also encouraging a comfortable and uninterrupted night’s sleep, can take significant stress off those pressure points and help your spine relax. Memory foam or high-quality latex mattresses tend to rate the highest amongst customers with back pain, with spring beds performing poorly in reviews. Very thin and inexpensive beds also tend to have worse long-term customer satisfaction scores. High-quality foam mattresses conform to your body’s shape, allowing the wider parts of your body, like your hips and shoulders, to sink in while the narrower areas of your body, such as your waist and feet, lay atop the mattress. 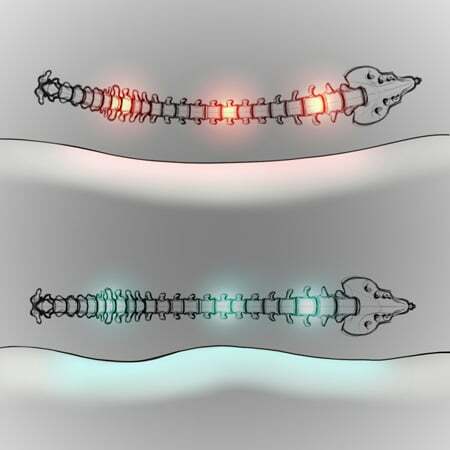 Sleeping with straight, natural alignment relieves the pressures commonly associated with many back pains. A mattress with poor conformity or support forces the body to rest at an unnatural angle and prevents tense muscles from fully relaxing. The ideal bed will be based on each person’s sleep style and preferences. Some people have a preference for the feel of memory foam, while others prefer the feel of latex. Things like materials, layer thickness, and firmness will depend on your body weight, sleep style, and other factors. Traditional spring mattresses are often flat and plank-like, providing uneven support. Stiff springs cause you to lay unevenly, regardless of your preferred sleeping position. For back sleepers, plank-like surfaces force the spine to arch and leave the inner knee unsupported, preventing the lower back from decompressing and causing several types of strains and pains. Let’s picture why this might be the case. The hips and the upper shoulders are the parts of the body that protrude the most, the heel of the foot does as well. While lying on your back, your hips and shoulders touch the mattress and your heels dig in. However, on a firmer bed, the lumbar region of your back remains arched. On firmer beds, there might be noticeable space between the lower back and the mattress. Your inner knees barely have a supporting surface, and your head tilts uncomfortably backward. All of this adds up to a very uncomfortable night’s sleep. By comparison, medium-firm memory foam or latex mattresses are better choices. These sleep surfaces perform well because they don’t force the spine to curve into unnatural positions while you sleep. Instead, they allow the parts of your body that need to sink to do so, while still giving support in the places that require it. Hips and shoulders are cushioned, while the lower back is fully supported and able to relax. 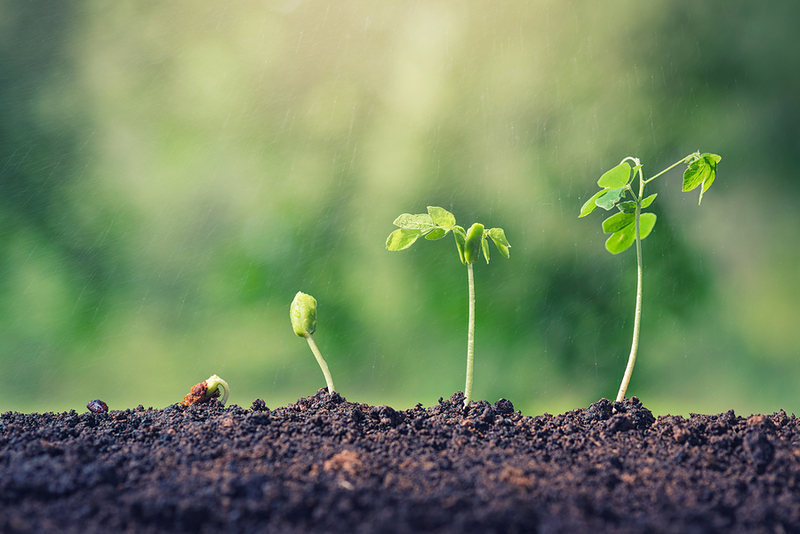 Choose a memory foam mattress that is made with natural, plant-based material to avoid harmful chemicals and overheating. 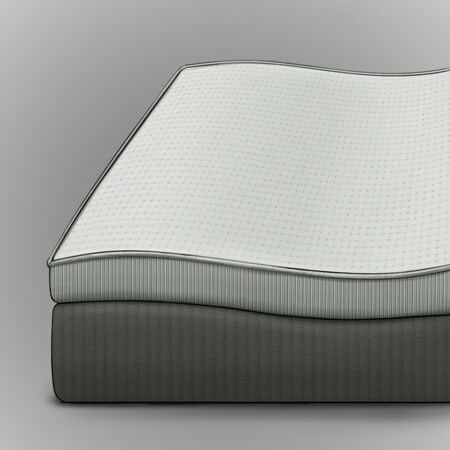 Memory foam is designed to fully conform to your body’s natural curves, to provide support exactly where you need it. But does that benefit come with a downside? As memory foam beds have become more popular, there has been a growing concern with their tendency to trap heat. Meaning, even if the bed is soft and comfortable, you’ll still be uncomfortable at night because you’re sleeping on a hot mattress. Though it is true some memory foam mattresses are made from synthetic materials and extremely dense foams can trap heat, many mattress brands are taking extra steps to ensure their beds won’t trap heat. Mattress manufacturers have also found memory foam mattresses made from natural, plant-based materials tend to offer cooler and more comfortable sleep. Based on everything we’ve looked at, medium-firm memory foam mattresses seem to be the best for those suffering back pain. Unlike innerspring mattresses, memory foam contours the entire body without any gaps. Most often, medium-firm mattresses let the spine rest in a natural, comfortable position. Our research indicates Amerisleep’s AS2 is an excellent choice for medium-firm memory foam. 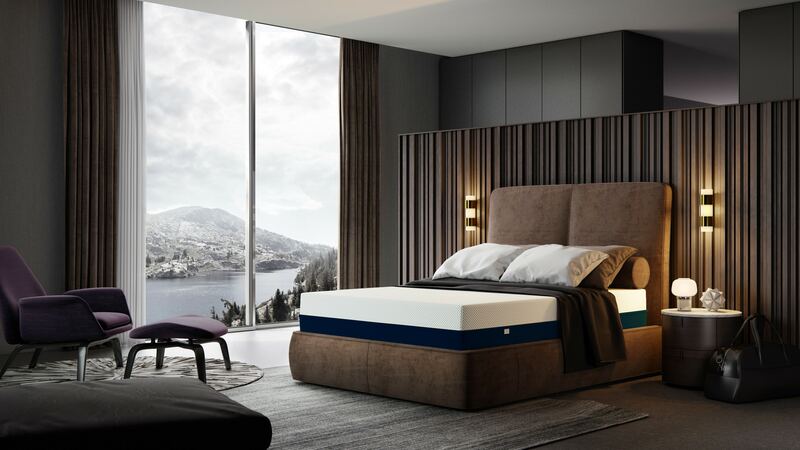 Amerisleep uses high-quality materials, such as plant-based memory foam and targeted support technologies, for strong back support and pain-free sleep. With typical memory foam mattresses, you might wind up feeling “stuck” when you switch positions because of the foams slower response time. The Bio-Pur® foam in the AS2 bounces back in just four seconds, so your mattress keeps up with you while you move at night. When it comes to reducing back pain, the AS2 also has Amerisleep’s HIVE® technology. It works by grouping hundreds of six-sided foam supports into five comfort zones to provide targeted pressure relief. Beyond quality materials, Amerisleep also uses the latest performance technology like Celliant®, an advanced fabric, to further promote restful sleep. Celliant® is FDA-determined to increase comfort and promote a more restful sleep, by temporarily promoting increased local blood flow at the site of application in healthy individuals. Celliant® works by recycling your natural body heat to infrared energy, penetrating your muscles and increasing blood flow in that area. 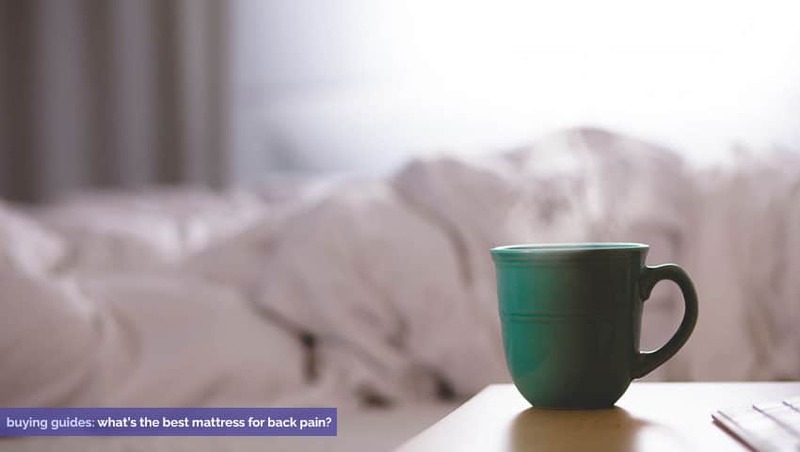 Now that we’ve sorted through the different types of mattresses, it’s time to answer another essential question for sufferers of back pain— how firm should my mattress be? Is it better to go with a soft and cloud-like sleep, or should you take the old advice that the firmest bed is best? The answer may be neither, or possibly a combination of both options. It has long been believed that a firm bed is the best choice for people who suffer from a bad back. But in reality, firm mattresses remain a hotly contested debate between orthopedic doctors and chiropractors. Recent surveys have shown hard mattresses might not be the best choice. The majority of chiropractors were probably right in recommending their patients sleep on medium-firm mattresses. Overall, medium-firm mattresses are the most recommended, especially for back sleepers. Still want to do some more research? Check out other mattress reviews to learn about other types of mattresses, the materials they’re made from, and their firmness. In two separate studies, Oklahoma State University researchers found medium-firm mattresses are the most effective at reducing clinically diagnosed back pain, shoulder pain, and spine stiffness. Subjects who slept on medium-firm mattresses experienced better sleep quality overall and fewer sleep disturbances throughout the night. People with pre-existing conditions sometimes require a moderately firm sleeping surface to heal properly from strains and other injuries. Side sleepers might prefer options in the medium range to better cushion their hips and shoulder. Still not convinced a medium-firm mattress is a better choice than one that’s rock-hard? Here’s an easy way to see how it might feel to sleep on a very firm mattress— place a plywood board under your mattress, or put your mattress on the floor for the night. Doing this will make your bed less cushy, giving you a good approximation of how a very firm mattress might feel. In the end, it comes down to what works best for your body and the way you sleep. If back pain is a recurring issue, medium-firm mattresses are often a good way to alleviate some of that pain. 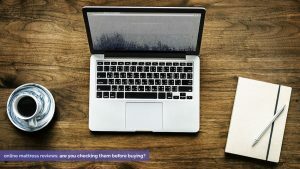 You may need to try a few different options to find the best bed for your back pain, though; that’s why it’s a good idea to buy from a mattress brand that lets you try the mattress risk-free at home. Cooler sleeping experiences often facilitate deeper sleep than hotter ones. A good night’s sleep requires a 1°C loss of core body temperature. Deep sleep is synonymous with more restful sleep, so seeking ways to cool your sleeping experience makes sense. Think of it this way: even if the support is perfect and your spine’s pressure points are alleviated, what happens if you’re hot all night? You’ll likely toss and turn because you’re warm and sweaty, only making your pain worse. Comfort is a complicated thing. Finding the best mattress for back pain means considering all the factors, from comfort and support to keeping cool. Of course, buying a new mattress is a big investment. Even if you’re not in the market to make a major purchase right now, there are still ways to improve your sleep surface to make it more comfortable. Many chiropractors believe if the sleeper does not own a memory foam bed or if their current bed is too firm, the best thing to do is to lay a 1½ to 2½-inch thick mattress topper on their sleep surface. It’s best to think of a memory foam topper as a small step towards an improved sleeping experience. Even this small step can have a big impact on back pain, especially if you decide to invest in a high-quality memory foam topper. High-quality toppers are considerably less expensive than a new mattress, and with proper care, they can last for years. By adding a topper, you can get more use out of the mattress you already have—while boosting your comfort level in bed and keeping your back pain at bay. Make sure your mattress is free from visible sags or indentations, or your pain may not be alleviated with a topper. Of course, foam toppers are not a foolproof solution. 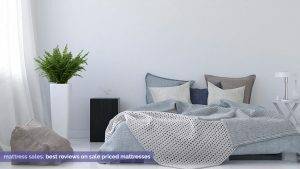 While a mattress pad aids comfort and can help with support, its thin profile doesn’t give the sleeper the deep advantages a memory foam or latex mattress does. Compared with foam toppers, foam mattresses offer more pressure relief, mold and dust mite resistance, and longevity. The breathability and advantages of memory foam make it an overall good choice for pain, and it’s likely to be comfortable for most people. In short, a mattress topper can help make your sleep surface more comfortable, but it won’t be as effective as a new memory foam mattress. If you’re hesitant to purchase a new mattress outright, a memory foam mattress topper can be a good stepping stone. Knowing how your body responds to memory foam can inform your mattress decision when the time comes. One thing to keep in mind— if you choose to use a mattress topper, make sure your current mattress isn’t already sagging. If your current mattress bows inward, the topper will likely do the same, so it won’t be able to provide you with the support to wake up pain-free. Changing your sleep position can make a huge difference when you suffer from back pain. It’s a simple step that doesn’t cost anything but time and effort, and it can multiply the effects of a new mattress or mattress topper. The better you can train yourself to sleep, with your back relaxed and well-supported, the more you may feel relief from pain. According to the Mayo Clinic, side sleepers should draw up their legs slightly toward their chest and place a pillow between their knees. Back sleepers should place a pillow beneath their knees, and support their neck with a flat, rather than thicker, pillow. Stomach sleepers have the hardest time fighting back pain because sleeping on the stomach naturally stresses the spine. However, placing a pillow beneath the lower abdomen and using a thin pillow (or none at all) under the head can help reduce the negative impact of sleeping on your stomach. These small changes in sleeping position can make a big difference, especially when they’re combined with a new and better sleeping surface. It can be hard to make the change, though, especially since you might naturally toss pillows away and roll back into your old position. There is no single best position for back pain because there is no single source of back pain. Different people naturally sleep in different positions, and forcing a side sleeper to switch to their back can be difficult and uncomfortable. If you switch to a more supportive position but find yourself restless because of the new position, the disruption to your sleep might counter any benefits to your back pain. Back pain is a struggle. But small changes to your sleeping position can make a real difference for some, especially if you choose to invest in the best bed for back pain. Looking for the right time to buy? Check our guide to learn more about mattress sales. Pain and stress feed on each other. When sleep gets interrupted, especially if it’s because the body is too hot, it can cause discomfort, making chronic back pain even worse. Pain causes your body to be stressed, which in turn can lead to even poorer sleep, which will worsen the pain. It’s a vicious cycle, but it can be broken. A healthy and comfortable night’s sleep can be one of the best ways to reduce stress and combat chronic pain. Meaning, finding the best bed for back pain is critical. Remember the key mattress features for back pain: comfort, pressure relief, and temperature control. A good night’s sleep can be a hard thing to find, so take proper time to choose a solution that’s right for you. The perfect mattress will have you sleeping soundly through the night, instead of tossing and turning or waking up in a sweat. Medium-firm memory foam mattresses assist vertebrae alignment, reduce muscle tension, as well as soothe and prevent aches. These factors, along with affordability, make memory foam the best mattress for a bad back. You spend nearly a third of your life sleeping, so it’s important you don’t cut corners. Now that you have the facts about the type of mattress that will help your back stay comfortable, it’s time to start shopping and make your pick. Make the decision that will help you sleep more soundly now—and for years to come. Temperpedic cloud is rendering me almost disabled. Have the adjustable frame and limited budget. Do not know what to do. Can’t stand this mattress. I have serious back problems. Where do I find this best rated mattress? I live near Atlanta. My husband was in an accident on Jan of 2018, He broke is back and we our Thankful and graceful that is still walking. He fractured his Lumbar Spine he has rods and 8 screws holding is spine together. Also he fractured pelvis and knee. We our searching for a better mattress that’s going to help him sleep better and relief pain from his back. Any advice. I’m don’t want to invest in lots of money and be disappointed. I’m not seeing any reference to the type of bed frame and if a box spring is used with the mattress. Is it an oversight or does it not matter? I think a platform bed (with wood slats, sometimes called captain’s bed) provides firmer support in the middle over time than a box spring. Great question! The type of support system for your mattress does matter. Typically, box springs are used for innerspring and hybrid mattresses. For mattresses made from memory foam or latex, box springs aren’t the best option because they offer inadequate support and can lead to sagging. Instead, we recommend using a solid, flat surface such as a Bunkie board or wood slats with slats no more than 3 inches apart to provide even support for the mattress above. Lies. Memory foam is horrible for back, it keeps back static and laying for 8-10 hours in static positions doesn’t help the back at all. I bought into this memory foam marketing 4 years slept on one of the best, and actually ended up with horrible back pain, thousands of dollars in chiropractic care and ended up getting a coil, latex firm top plush bed. I will NEVER go back to memory foam even if they paid me for it. Thanks for your feedback and we are sorry to hear about that negative experience. It is something definitely to consider. Memory foam mattresses are not one-size fits all solution. Reviews can be found that celebrate memory foam’s ability to alleviate back pain, and reviews can be found which state the opposite. We do our best to look at consistent feedback across multiple channels, as well as how the mattresses are designed. Of course, memory foam, like any other mattress technology, varies greatly across companies. Which coul laytex plush top did you purchase and what size? I am thinking of purchasing something like what you bought. Long time back pain sufferer here. The only mattress I can sleep on without hurting is a (cheap) old-fashioned rock-hard innerspring mattress! Hope this helps people decide. I want a sleeping mattress on which my family including me my wife and my two daughter can sleep. I want a mattress which is helpful for shoulders and back pain too. Suggest me a mattress keeping in mind 4 people to be sleeping and back pain. We are most likely shopping today, our sons back problems have flared up, and his present memory foam mattress has broken down as it is 15 years old. We both suffer back pain though different and both sleep on our sides. I often end up on my stomach to alleviate pressure with one knee bent up. He wants a firm mattress, but I feel everything in my hips and shoulders, which is going to be best overall and in the long term? Can your Bed cause Lower back Pain? I have a firm mattress. Definitely yes. I find that if the mattress is too firm or hard it will put pressure on your spine and aggravate the hot spots, or the areas of your spine that are causing you discomfort and pain. I have verified this with more than a couple of doctors as well as experienced it myself. I am willing to try this. My husband regularly suffers with back pain. It has been hard to find the right bed. I am also concerned with affordability. I had a top quality foam temperpedic and it was the worst bed I ever had for my bad back. I’m going crazy and so overwhelmed from mattress shopping. I constantly wake up with all over back pain. I almost purchased a $7,500 Temperpedic Mattress yesterday but decided to look some more at other options. I discovered the adjustable base and I think that would be a huge improvement! There’s so much out there and I’m so desperate to get a good night sleep without anxiety of pain. I’m so glad Kate shared her experience with the Temperpedic!! Me too! I am so down……as this cost me big $$ and I cannot even sleep on it. I’ve been sleeping on the sofa and it is more comfortable on my back, no kidding. May I ask what you ended up buying and how it is working for you? costly. do you have payment terms.